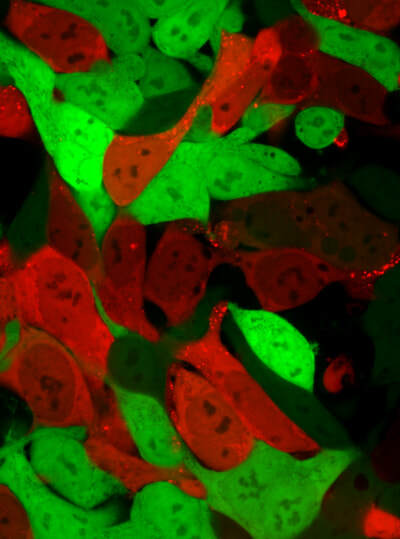 Nanoparticle-mediated delivery of Cre mRNA turns GFP+ cells into RFP+ cells. A microfluidic chip allows us to generate hundreds of barcoded nanopartilces each day. 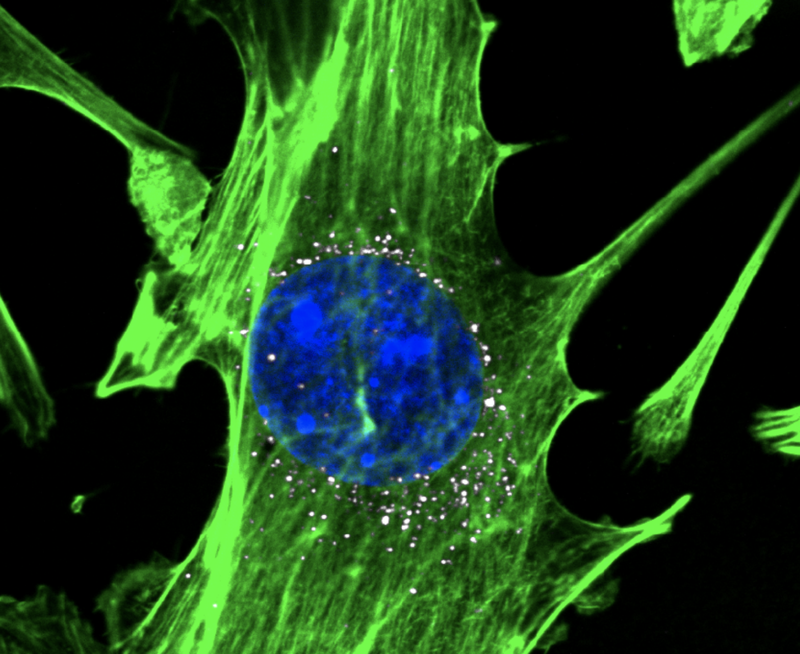 DNA barcoded nanoparticles (white) efficiently target cells (nuclei stained blue, cytoskeleton stained green). So how do we find nanoparticles that can deliver drugs to a particular tissue? We make thousands of chemically distinct nanoparticles. However, after we make them, nanoparticles are screened in cell culture, even though systemic drug delivery is extremely difficult to model in a plastic dish. 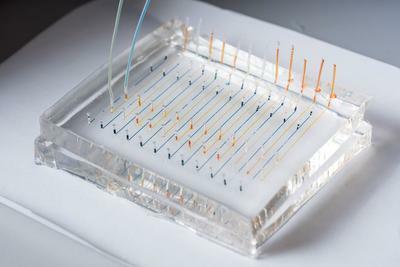 Now, using high throughput microfluidics and DNA barcoding, we can study how hundreds of LNPs work in a single mouse for the first time. How do test hundreds at once? By 'barcoding' LNPs, and using DNA deep sequencing to measure where they all go at once! For example, the 'heat map' above shows how dozens of LNPs deliver drugs to different cell in vivo - we measured this at all once. We now regularly generate thousands of in vivo drug delivery data points per experiment; this is hundreds of times more in vivo data than a typical experiment. Why is this important? We can study thousands of nanoparticles in vivo to quickly find candidates that deliver genetic drugs to new tissues.